Are you looking for a plumber in Soquel, CA who can take care of all of your plumbing needs? Maybe you’ve been searching for a while or you have an urgent task that needs taking care of right away. Either way, our plumbers at Rosenthal are ready to help you out. There’s no task too big or too small for our experts to handle. We’ll handle things big and small so your home works the way it was designed to. From unclogging your sink to fixing your sewer, our experts will do whatever it takes to solve your problem as quickly and efficiently as possible. We promise that we will always keep in touch with you, too, so you’ll know the status of your repair and when we plan to be finished. At Rosenthal, we only hire experts, and then we invest in keeping their training up to date. We invest in the latest technologies, too, so you never have to worry about how your repair will be done. We’ll always tell you all of your options for a repair, then let you choose the one that is best for you and your family. Call Rosenthal whenever you need a plumber in Soquel, CA. We promise that we will get to you as soon as possible, that we will assess your needs accurately, and that we’ll get the job done right the very first time. 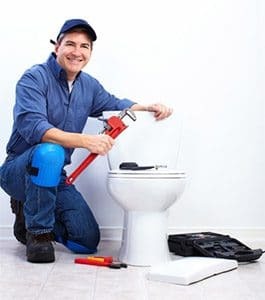 Make your appointment today and let us show you why so many people in Soquel love working with the plumbers at Rosenthal.